January 2013 - present. From the Institute of System Engineering, Huazhong University of Science and Technology, China. Visitor during summer 2012, from India. From National Dong Hwa University, Taiwan. Visited in January 2010. From University of Hong Kong. Visited in the summer of 2010. 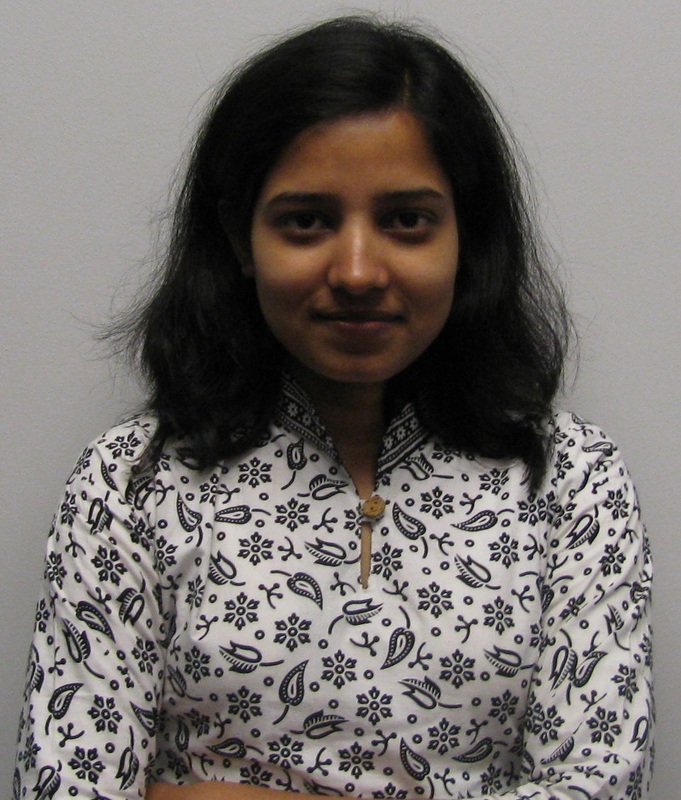 From January - May 2010, Priyanka Khan from the Indian Institute of Technology (IIT) in Kanpur conducted research-in-residence at Purdue University. Priyanka, who is currently pursuing a Masters Degree at IIT, is working on a joint-research project under the guidance of Dr. Partha Chakroborty (IIT) and Dr. Srinivas Peeta (NEXTRANS Director). The project, titled, "Addressing Uncertainties in Travel Time Estimates Using Artificial Intelligence Techniques for Intelligent Transportation Applications," marks the beginning of an international collaboration between NEXTRANS and IIT. This research aims to determine if standard traffic models can be used to study traffic in India, where a variety of non-motorized vehicles share the road and there is a lack of lane discipline. 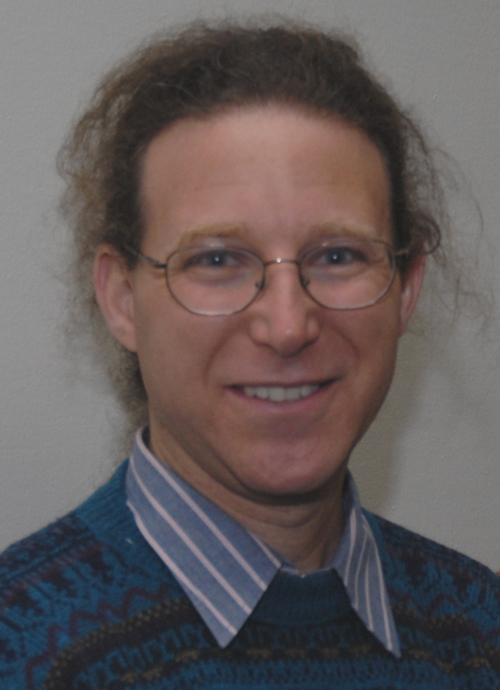 The NEXTRANS Center's previous visiting international scholar was Dr. Hillel Bar-Gera, a Senior Lecturer in the Department of Industrial Engineering & Management at Ben-Gurion University of the Negev in Israel. Dr. Bar-Gera's primary areas of interest include models and algorithms for travel forecasting and transportation systems planning, traffic safety, intelligent transportation systems, and operations research in general. Currently, he is collaborating with NEXTRANS affiliated faculty Dr. Andrew Tarko and Dr. Fred Mannering on a model to predict hospital severity categories of crash injuries from police crash report data. Dr. Bar-Gera received his Ph.D. in Civil and Materials Engineering from the University of Illinois at Chicago, specializing in transportation. His dissertation on "Origin-based algorithms for transportation network modeling" was acknowledged by the Transportation Science Section of INFORMS as the best Ph.D. Thesis in transportation for the year 2000. Variants of the algorithm he developed in his thesis are currently used by the majority of travel forecasting software vendors. The NEXTRANS Center's first visiting scholar was Dr. Jin-Long Lu from Chang Jung Christian University in Taiwan. 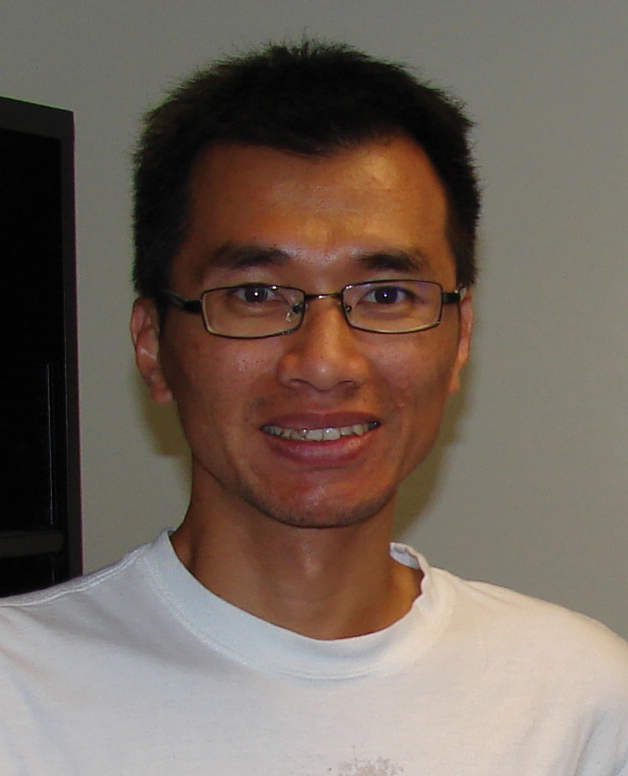 An Assistant Professor at the Department of Aviation and Maritime Management, Dr. Lu visited Purdue from September 2007 to August 2008. Dr. Lu's major area of interest is exploring the behavior of travelers using econometric models and multivariate analysis techniques. His current research includes examining the attitudes of business travelers toward the information and communication technologies deployed at public transportation stations/depots, and analyzing the impact of price on travelers' choices. Dr. Lu's collaborative work with NEXTRANS aimed to explore the relationship between business air travel and videoconferencing, using Taiwan's technology industry as a case study. According to Dr. Lu, "This type of mutual collaboration not only provides a practical analysis of this issue, but also presents an opportunity to conduct future cross-cultural comparative research." It is the Center's hope that the Visiting Scholars Program will continue to cultivate international partnerships and collaborative research opportunities well into the future. Countries around the world are facing similar mobility, safety, and infrastructure challenges. At the same time, increased globalization has created a need for more efficient intermodal connections where international transportation networks meet. These challenges provide innovative pathways for transportation research programs to take advantage of the abundant opportunities available for international collaboration. Technology transfer on best practices and deployment experiences leverages resources and provides synergies for potential collaborations. Institutional linkages make technology transfer more efficient, creating a higher value for research results. We live in a global economy, and therefore have shared interests. In a global economy, it is desirable for technology transfer to be a priority at the global level, since it provides and effective conduit to disseminate best practices. International collaborations among research organizations around the world through shared knowledge, information, and technologies also serve to leverage scare resources while avoiding duplication of effort, or "reinvention of the wheel." Further, from a practical standpoint, the deployment experience of one entity can be a learning experience for others. Institutional linkages can play an important role in fostering international collaborations. Programs such as the Transportation Research Board's International Information Sharing Project (NCHRP 20 – 30) and the FHWA's Office of International Programs (OIP) have underlined a strong need for a systematic exchange of information at an international level. Through memorandums of understanding and other structured plans for technology transfer, the U.S. can leverage the most innovative technologies and practices from around the globe. Transportation research programs can potentially expand their resources by leveraging the interest U.S. trading partners have in the safe and efficient movement of goods into and around our nation. As the world's largest importer of goods, the U.S. plays a central role in the efficiency of the global supply chain. The USDOT's 2006 – 2001 Strategic Plan indicates that unless the U.S. adopts new technologies and operating procedures soon, rising shipping and travel costs will make it difficult for U.S. businesses to compete in international markets. In an effort to boost our nation's economy, Congress has called for a massive investment in U.S. infrastructure. However, the American Society of Civil Engineers (ASCE) estimates that it will cost $2.2 trillion just to repair America's neglected highway, transit and water projects, a number that greatly exceeds the $80.5 billion committed by the 2009 stimulus package. This disparity makes it clear how necessary public-private partnerships and global collaborations are to financing those needs. The NEXTRANS Center is dedicated to improving intermodal connectivity, and developing innovative strategies to overcome the congestion that bogs down domestic and international trade. Whether our research is advancing the state of the art in Vehicle Infrastructure Integration (VII), or studying travel-time reliability in Indiana, the NEXTRANS Center's projects all possess elements that are relevant on an international level, either through the development of new knowledge/technologies, or the innovative application of current ones. In addition to sharing the results of independent research, the NEXTRANS Center promotes international partnerships through its Visiting Scholars Program, international joint research initiatives, and visits to other nations. In March 2009, Director Srinivas Peeta travelled to a number of universities in Taiwan and India, allowing him to network on an international level and create future opportunities for research collaborations. In June 2008, Dr. Peeta also visited the Koc-IBM Supply Chain Research Center at Koc University in Turkey. There he interacted with Professor F. Sibel Salman, who is currently collaborating with NEXTRANS Research Associate Lili Du. These programs create institutional linkages that allow for the systematic exchange of information and technologies. They also move us one step closer to a new breed of international partnerships, in which research programs from around the world pool their resources to solve global challenges together. As you will see throughout this issue, the NEXTRANS Center is making a concerted effort to "go global." In doing so, the Center hopes to maximize its resources, leverage the world's most innovative technologies and practices, and help to create new paradigms for international partnerships and efficient technology transfer.